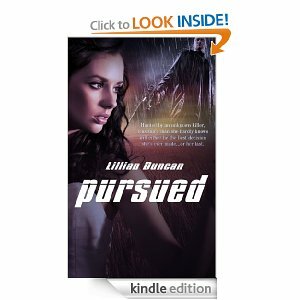 The ultimate test of a good novel is the story told, and Lillian Duncan created a powerful story with Pursued. First the attorney, Reggie (short for Regina) Meyers is in danger of losing her job because of a grammatical error on a contract. At the airport on her way home, a woman accidentally whacks her in the head with luggage when she takes it from the carousel. Still dizzy from the blow, Reggie tries to weave her way through heavy traffic. 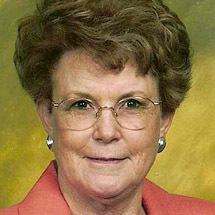 She swerves to avoid a dog being chased by a child and an old pickup collides with her car. She doesn’t care how handsome the driver is, she’s angry. Since her vehicle absorbed most of the impact, he offers to drive her home. After he uses some persuasion, she goes with him only to find the door to her home wide open, her apartment ransacked, trashed and the furniture slashed. The owner of the pickup, Dylan Monroe, insists she can’t stay in that apartment after such vandalism. The person might be a killer. Thus begins the chase. Reggie is pursued by someone who is serious about killing her. She’s shot at, her phone is bugged, and bombs are placed on her car. Although Dylan just met her, he insists on protecting her. He takes her to his sister’s house. When she’s followed there, he moves her to his parents, then to a friend’s place that is difficult to find and equipped with detection equipment. It takes a while for Reggie to understand why Dylan wants to help. He’s a committed Christian and feels it’s his calling to do what he can for a person in need. Reggie, abandoned by her parents at a young age, is in need of someone who cares. She grew up in foster homes and knows little of committed love and devotion. She fights being attracted to Dylan because he’s a farmer and she’s an attorney. The story is a great read, and that’s why I give it five stars it deserves.